This is a wonderful video. If you are a Tai Chi practitioner you will not only recognize the slow, circular movements, but you will learn the energy principles that lie behind Tai Chi forms you practice. If you are looking to improve your health, this video is also for you. 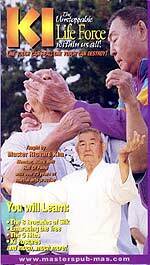 You will learn a twelve movement set of Tai Chi Kung. For those with physical limitations, it can also be practiced seated or lying down. Also explained on the video is chi circulation – how it is guided by your mind and path taken in each move of the exercise set – a process that will balance, regulate and stimulate your underlying energy system. You will experience a profound sense of tranquility and spiritual peace – a process that releases tension and anxiety accumulated in the joints and musculature of the body. The great insight of Traditional Chinese Medicine (TCM) is that on a deeper level, energy underlies all body processes and systems. And just as your outer muscles can be stimulated by physical exercise, internal Chi Kung exercise can stimulate and improve your internal health. Chi Kung (also spelled Qigong) means “energy work” -- Chi meaning energy or breathe while Kung is translated as discipline or work. This exercise set focuses on the body’s extra meridians, or energy pathways. These pathways are understood to act as energy reservoirs -- sending, storing and absorbing energies from the body’s other organ pathways of energy, which can stimulate health and regulate energy. The effects are profound. The whole body becomes more relaxed and supple, more flexible as well as strong while balance is improved. This video exclusive is from Dr. Zaiwen Shen. 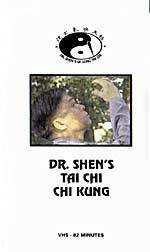 A master of Tai Chi and several Chinese martial arts, he is also one of the world’s leading Chi Kung teachers and authors, a full university professor and researcher, who also has a degree in Western medicine and a related Ph.D. in neurophysiology and thermal imaging. Not only will you be able to learn the health postures for both young and old but you will learn the magic of 5000 years of health fitness and self-defense as taught by Chinas most important Masters like Wang Xian Zhay, Guo Yun Shen and now LI Jiang Yu. 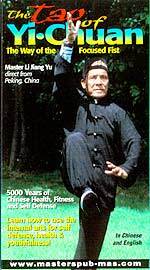 Master Li brings these almost forgotten secrets into the new millennium and now you can learn why the Chinese martial arts are the beginning of all martial arts systems. Richard Kim began his training in 1925 over 75 years ago and has continued till today. One of his teachers was the legenary Wang Xiang Zhay who taught him the secrets of the Chinese Internal Martial Arts when he lived he Shanghai China during the 2nd World War. In this tape he will show you and explain to you about this internal power the Chinese call Chi and the Japanese call Ki. He will show you several exercises to help you unleash this power that has the great ability to heal and to destroy. The video is shot in full color with Master Kim explaining the Eight Brocades of Silk and the lost Tibetan exercise called the Five Rites which will help you rejuvenate your youth.